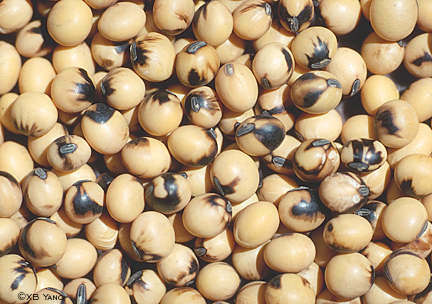 Seed discoloration from soybean mosaic virus. Iowa State University Entomology Department. Last modified June 14, 2000 by John VanDyk.